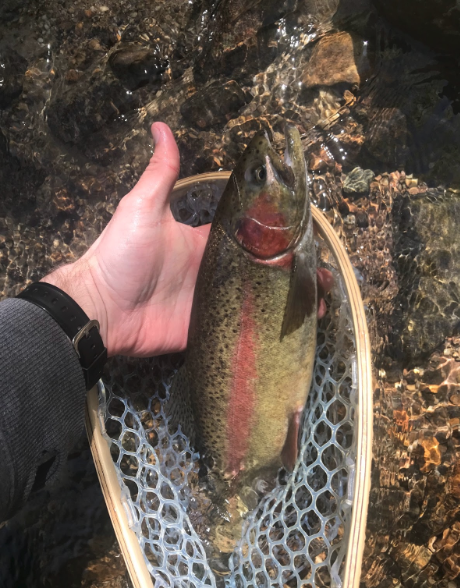 I got a text just before I went to bed, “Look what I caught today!” The text was accompanied by three pictures of Landlocked Salmon, 17”, 20” and 22”. My heart started racing as I examined the pictures, using other objects in the picture, to see if they were indeed that big. They were. My mind feverishly raced to figure out my schedule to see how long it would be until I got on the river to catch some of those gorgeous fish. The gauntlet was thrown, “This is what I caught, what can you catch?” Technology it seems has taken the cloth gauntlet and turned it into an iron one. It took me an extra hour to get to sleep, and even then I woke up early with visions of Salmon dancing in my head. I texted the sender back to ask what kind of flies he used and how did he fish them. I already knew the where because of the scenery in the background. All I could think about the next day was getting on the water and getting a big Salmon. Before technology, i.e. 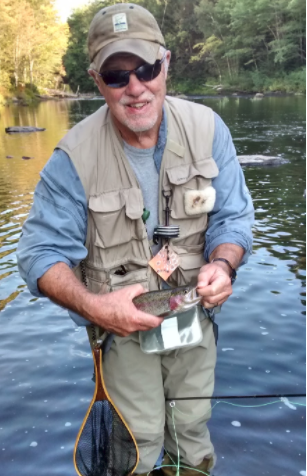 cell phones, Go Pro’s and drones with video cameras, it was just a man’s word, “I caught three trout about 12 inches each.” You knew being a fisherman that there were probably three trout, but probably 6-10 inches each. No pictures, no proof. If you have ever gone into a gift shop in Northern Maine or New Hampshire where there is any fishing going on, you will find a souvenir fishing knife/ruler. On one side there is a standard six inch ruler, on the other is an exaggerated twelve inch ruler. The premise is that you can take a picture of your six inch fish using the twelve inch exaggerated side. Those were the days. I caught a lot of big ones then. With the use of technology and big screen TV’s, amazing videos come to you in the comfort of your living room that shout out to you, “Go West young man, go West, and bring your fly rod!” Then you come up with some crazy scheme to go west because it seems like a good idea. Technology is amazing, especially when you know how to use it. I don’t own a cell phone. I rationalize it as being “Old School,” but I am thinking about getting one. I don’t need one for my six-inch fish because I have my souvenir ruler, but I might need one if I ever get that twenty incher.